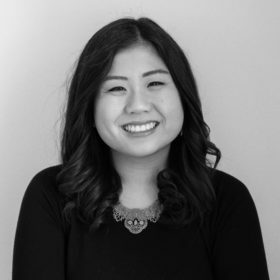 Big Data Intern, AT&T Inc.
Rebecca Tjahja is an associate at Hamilton Place Strategies. She assists a variety of clients with strategic communications and policy objectives related to finance and technology. Before joining HPS, Rebecca served as a Google Policy Fellow working with the Congressional Internet Caucus on technology policy issues related to national security and privacy protections, violent extremism online, and Section 230. She also interned with the National Economic Council at the White House, where her portfolio included the digital economy, broadband competition and access, and Internet governance. Additionally, Rebecca interned with AT&T’s Big Data team concentrating in privacy law and business enablement, and with the Financial Services Roundtable in the area of tax reform and communications. Originally from Los Angeles, California, Rebecca graduated as a Eugene McDermott Scholar with honors from the University of Texas at Dallas, where she studied Finance and Political Science.